Good move to dump GoDaddy. I’ve been with HostGator for 8 years now and they are great. Also switched all my domain registrations from GoDaddy to Namecheap.com about a year ago. I wanted to add a plug for Namecheap.com as well. Great hosting, no hassle it was amazingly difficult to move from GoDaddy; because GoDaddy made it a difficult but been happy with Namecheap ever since. If you really want to get paranoid, real Tom Clancy’s new book, Threat Vector. I hope someone in one of our intelligence agencies has read it. Interesting info. Glad you’re taking steps to suppress this scourge. The attempts to login to the site have continued. About 4700 tries yesterday. Curiously there are about a dozen attempts from many different (no doubt spoofed) IP addresses. Seems it’s now time to double secure the login and admin pages. For the reasons noted earlier, a “login lockdown” script doesn’t make sense as it will not shed the load of all the login attempts, nor would it really prevent the continued brute-force attacks. 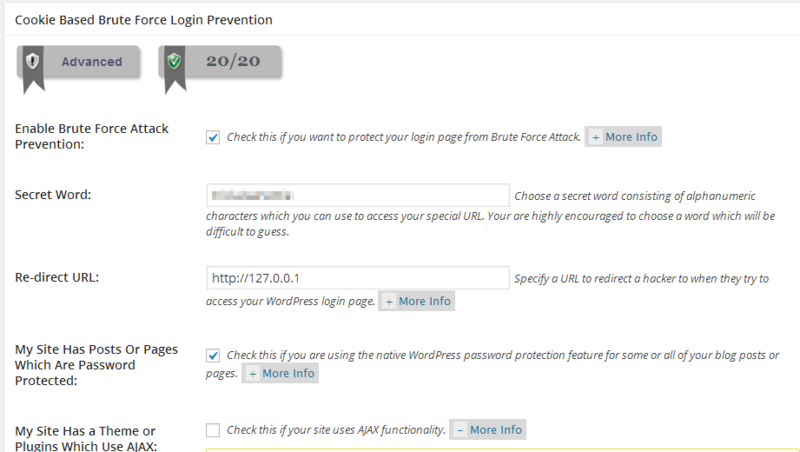 So what is next is adding authentication to access the WordPress pages (wp-login and wp-admin). A simple method would be to require a specific cookie – then it would be portable and low trouble. However I’ve found I really like using LastPass so creating completely unguessable ids and passwords is easy to do and to manage. 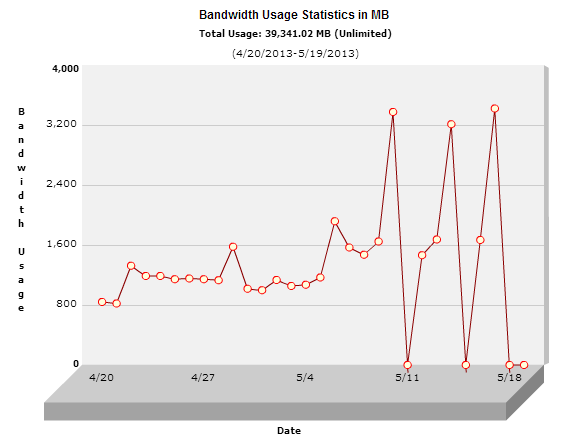 For example, LastPass just generated this: vBs!P5!46%GR. Some other steps I’ve taken include changing my permissions on my primary account to give very little access and creating and admin account with a userid and password like the one I gave above. I am using the “Cookie Based Brute Force Rejection” rejection method in the “Brute Force” page.